Make your own shimmery slime with a surprise! All the supplies come in this cool storage case. 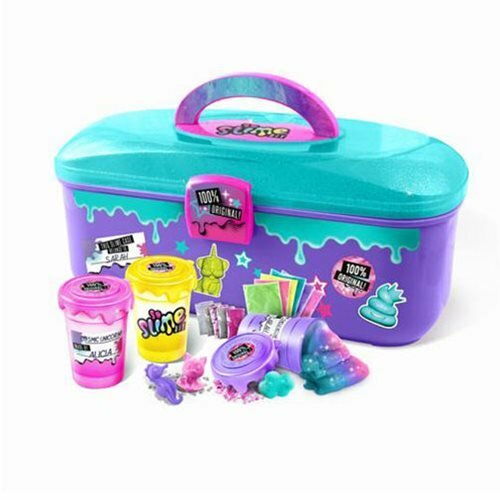 This slime kit makes it fun and easy to create custom slime without a mess. Combine slime colors, confetti, glitter and surprise figurines for the coolest slime around. Includes everything you need…just add water! No glue required. Includes 3 metallic slime powder colors. Simply pour one slime powder pack, glitter and water into the shaker cup…then shake! 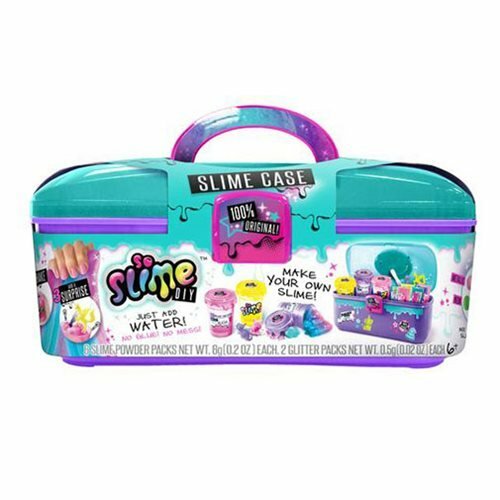 You can mix and combine slime colors to create your own style! Add one of the surprise figurine into the slime. Which 3 surprises figures will you get?! 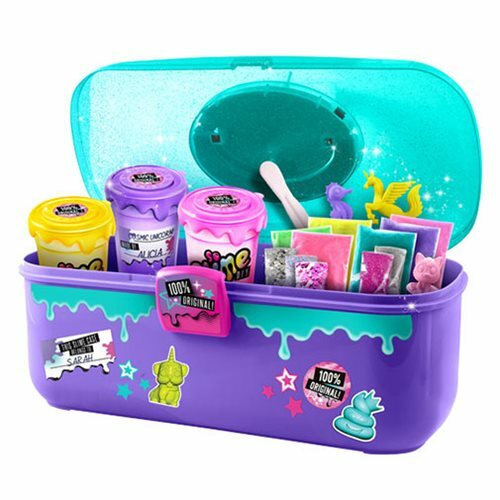 Kit includes 1x storage case, 6x Slime Powder Packs, 2x Glitter Pack, 3x Confetti Packs, 3x Shaker Containers, 3x Surprise Figures, 1x stir stick, 1x sticker sheet, and instructions. Ages 6+.